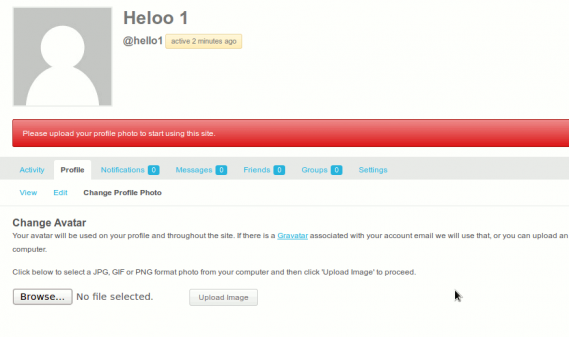 BuddyPress Force profile Photo plugin forces users on a BuddyPress site to upload a profile photo before they can use any feature of the site. It’s simple and effective. It won’t restrict the site admins, only the normal members are restricted from using site features if they do not upload a profile photo. The new update includes support for excluding users joining via social networks. Version 1.0.6 & above allows skipping certain urls using the filter bp_force_profile_photo_skip. If the function attached to this filter returns true, the checks will be skipped. * Do not redirect users on non bp pages. * @param bool $skip should we skip or redirect. * @return bool whether to skip or not?